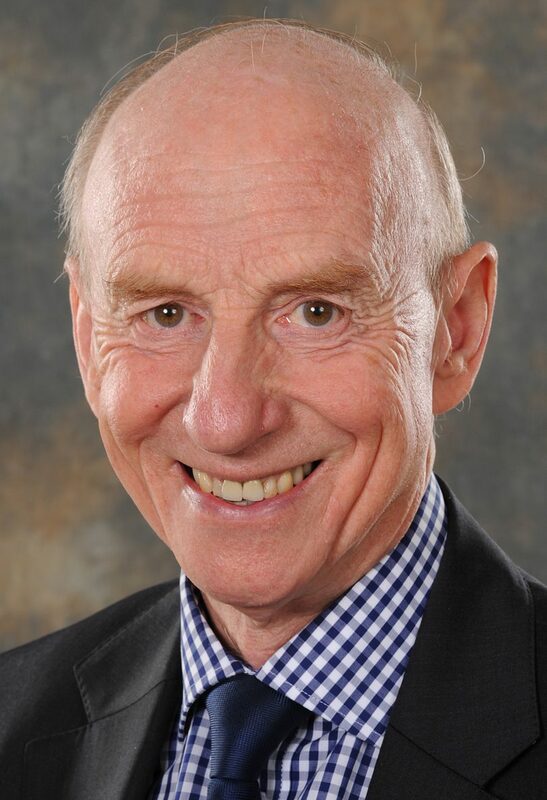 Sir Stephen Moss is a nurse who has had a distinguished career in NHS management. He spent seven years as Director of Nursing at the Derbyshire Royal Infirmary before moving to the Queens Medical Centre in Nottingham in 1984, where he worked for 20 years. He also worked as a Commissioner on the first NHS Quality regulator, supporting Dame Elizabeth Fradd in the development of its first clinical governance reviews. He is best known for his period as Chairman of the Mid-Staffordshire NHS Foundation Trust (2009-12) in the aftermath of the Stafford Hospital scandal and a highly critical report from the Healthcare Commission. In this fascinating interview, the second in our series of interviews with prominent nurses and nursing historians, Richard Bates from our project team talks with Sir Stephen about his background and career, the place of men in nursing, and his work at Mid Staffs. RB: Let’s start by talking about how you got into nursing. Men continue to be under-represented in nursing, and that was surely even more the case when you started out – so how did it come about for you? SM: It was by accident — literally an accident. I grew up in Chadsmoor, in the West Midlands coalfield — my father was a miner. He died when I was eight, from the “coalminer’s disease”, pneumoconiosis. I have an older brother and sister who both went on to do well — my sister as a teacher and my brother as an accountant. Being quite a bit younger than them, I felt a pressure to succeed, but it was mainly self-imposed. Like Liz Fradd, who you’ve also interviewed, I wasn’t very good at school, but my problem was — given that nursing has a very important practical component — that I wasn’t very good practically either! In woodwork, it took me four years to make a plant label. My school reports said that I had a tendency to be disruptive, chatty, and wasn’t exploiting my potential. About six months before I was due to leave school, I hadn’t got a clue what I wanted to do. Then I had the accident. At school, someone aimed a catapult at the back of my head, and a friend shouted to watch out. As I turned round to look, this missile hit my in the eye. It was quite a serious injury. I was taken to the local eye hospital — I had pads on both eyes for ten days. I was on complete bed rest — couldn’t do anything for myself. During this time i was cared for by a male cadet nurse. I remember thinking that this lad must go home at the end of the day and feel really good about what he’d done. He was probably only about two years older than me, but he was fantastic at the job. When he was approaching my bed, knowing that I couldn’t see him, to avoid startling me he would start talking to me about three beds down, to let me know he was coming — he had that awareness. He used to feed me, as I couldn’t feed myself. He was attentive to how I liked my food. He was doing that most basic thing: doing for somebody what they couldn’t do for themselves, meeting that most basic human need. I probably didn’t think of it quite like that at the time, but what I do remember thinking is: ‘this is for me’. RB: What did your family think about you wanting to become a nurse? My family didn’t think I’d last three months. But from day one I knew it was right for me — not least because, suddenly, people were telling me that I was good at something. Instead of being disruptive, I became the one asking lots of questions, wanting to understand as much as I could. From being clumsy and impractical, I suddenly had confidence in what I was doing. RB: It’s interesting that your parents’ vision of nursing was that it was hard work, maybe dirty work, but they weren’t seeing it as inherently female or an unmanly thing to do — which, in a stereotypical view of a mining community in the 1960s-1970s, you might expect. SM: No. Some people did think that, but in my family there was a bit of history, in that my father, when he was desperately ill, was cared for by a male community nurse, who the family thought the world of. And by the way — when the Nottinghamshire coal mines closed in the 1990s, I was director of nursing at the QMC. We took on some ex-miners, who had been made redundant, as nurse assistants, and they went on to do full nurse training. So things had certainly changed by that point. RB: Did you feel pressure about your gender, about being a man in what was seen as a female profession, from friends, or from elsewhere? SM: I did. I can remember as a cadet, going to a Further Education college for some academic courses, and being the only lad in the class. That was tough. I hadn’t got a role model really. There weren’t many people around to be mentors or anything like that. With the passage of time, as I went on in my training, more and more male nurses came in, and during my general training I was alongside male psychiatric nurses, for example, that I could get to know. Before I knew it, suddenly I found that I myself was the role model for the younger ones coming through! But it was quite tough. I think there is maybe a bit of a comparison with Nightingale there, with the sorts of discussions she had to have with her family. It was her determination that said ‘I’m going to do this’. Equally, I wasn’t letting anybody put me off, and I knew it was the right thing for me. Having those conversations can breed one of the qualities that you need as a nurse: resilience. RB: Was being a male nurse actually a big part of your consciousness or identity at the time? SM: In fairness, hardly anybody within the system made much of an issue of my gender. There was only one ward sister, on a thoracic ward, who very clearly wasn’t comfortable with male nurses. She gave me a lot of jobs to do that the girls were never given. For example, every morning we had to weigh the sputum. The girls were allowed to weigh an empty sputum container versus a full container and work out the weight that way, but she made me empty the sputum out onto the scales, which was disgusting. My colleagues used to say there were times when I was missing on the wards, but they knew where I was because they could hear me retching in the bathroom … It was bullying really, a bit of a horrible thing to do to a trainee. Again, though, it built resilience — I saw it as a challenge. I thought, ‘I’m damned if I’m going to be put off by this’. It was just something else that had been thrown in my way. I wasn’t going to let it stop me. That sort of thing was rare, though, and when you did meet people like that, it was generally in positions of authority, rather than colleagues at my level, who were totally supportive. RB: Where did you draw your values from? SM: Firstly my family. We weren’t a wealthy family — my mother struggled after my father died. And the message that i was given very clearly was — ‘we haven’t got a lot of money but there are a lot of people worse off than us, and you must do everything you can to help those people’. Secondly at school: I probably had three or four teachers that saw any potential in me, who helped, supported and motivated me. And thirdly and most importantly was what i learned during my nurse training. I remember on day one, my tutor telling the group, ‘to nurse somebody is a privilege — you are being given these skills and this knowledge to look after somebody when they’re at their most vulnerable, and it doesn’t get any better than that! What an honour, what a privilege to be able to do that’. That really stayed with me, and even now when I go and talk to nursing students, that’s the thing that I’ll always ram home to them — we’re in an incredibly privileged position, to be able to care for people. How many other professionals get an opportunity to meet someone’s most basic needs when they can’t do it for themselves? Another set of values that have been important, is that I’ve never known any other life other than the NHS, and I am passionate about public service. I feel genuinely honoured to be a public servant. My public service values have been a strong driver throughout my career. RB: How did you start moving into more administrative positions? SM: I really enjoyed clinical practice. I went off and did a specialised course in intensive care, and thoroughly enjoyed that. I ended up in charge of an intensive care unit (ICU). At that time, as a clinical nurse with 5-6 years’ experience, you had three options — you either stayed in clinical practice, went into education, or you went into management. I’d enjoyed running my own ICU, and I thought that I could influence a wider group of people around my values if I went into management. So that’s what motivated me. I also thought that what had made the most difference to my job in an ICU was having a bloody good manager, who’d motivated me, encouraged me, developed me, opened doors. I thought that I wanted to be one of those people. RB: I wonder if to be a good manager you need to have a strong ability to visualise the concrete, human results of what happens at management level, which can get quite abstract. When you go into management, you end up doing a lot of things that don’t necessarily feel like they’re helping at the front line — you’re sitting in meetings, you’re writing reports, you’re arguing with people. You need to be able to keep the connection in your head that what you’re doing, ultimately, is saving lives. SM: Yes — the thing that drives me, and even drove me at that stage, is the idea that the reason we’re doing what we’re doing is to help support the people on the front line. If you look at my evidence at the Mid Staffs public enquiry, or the talks I do about Mid Staffs, you’ll see that I keep reminding people in management or leadership roles, or even educators and researchers, that we are the means to an end, the means to do the right thing for patients. That was a real motivator for me to go into management. I go round now talking to NHS Boards about Mid Staffs. Sometimes I feel like some boards are working in a parallel universe. They’ve got an agenda that’s driven by money, by targets — when I say to them, ‘why are you here, doing what you do?’, I will get four or five answers before I’ll get the one that we’ve just talked about, that we’re here to support the people on the front line deliver good patient care. Instead I’ll get things like, ‘we’re here to be good custodians of public money’ or ‘we have a set of targets that we need to meet’ — well, yes you are, and yes you do, but these things are ultimately means to an end. People can start to see the means as the end in itself. RB: Before we talk more about Mid Staffs, we need to fill in a few gaps. How was it that you became the person to call when a situation like Mid Staffs arose? SM: I took my first steps in nurse management in two different hospitals. First I ran a group of wards that was concerned with trauma, accident and emergency, the really sharp end. I then took care of a group of surgical wards in Birmingham, before the head of nursing post at the Derbyshire Royal Infirmary came up. I was only 30 at the time — a 30-year-old man: the DRI at that stage was very traditional. My predecessor had worked there for donkeys’ years and retired as an elderly matron. I knew I would be put to the test there — many of the nurses had never been answerable to a man in their nursing work before. I learned that I needed to demonstrate to them what my values were, roll my sleeves up and work with them on the wards, learn all about the hospital. I was at Derby for seven years, and ended up taking on additional responsibility for the children’s hospital, the orthopaedic hospital. Then the job came up for Director of Nursing at the QMC. That was in itself a huge job, because it’s a huge organisation. That was also where doors really started opening for me. During that period NHS Trusts were being established, and the nursing directors set up a group, the Nurse Directors’ Association, so that we could have a national nursing voice, and I was elected as the chairman. I did that for five years. During that time, Frank Dobson, the Secretary of State for Health from 1997, asked the Chief Nursing Officer to set up an informal group of advisors for him, people who could talk about what things were really like. It was a group of eight, and I was included. I spent three years advising the Secretary of State. It was great when, in meetings, the political advisors would be talking, and Frank Dobson would say, ‘shut up, I want to hear what Stephen has to say about this’. I knew I was doing some good when I heard him speak in public or in Parliament and my words were coming out of his mouth! RB: What kind of points were you making to him? SM: Things like the need to educate student nurses for the world of work. I’d made the point that while it was great that we were training students and giving them an academic focus, when we then exposed them to the real world of the NHS, they were struggling. We had to get better at supporting them when they came out of their educational programme into the workforce. That work opened the door to taking part in the Commission for Health Improvement — a group of 13 commissioners, eight laypeople and five from the NHS with direct front line connections. There was a real focus there on patient safety and care quality. It was a shame that was shut down [in 2004] — it really felt like we were getting somewhere. We had a programme across England and Wales where every organisation had a review, using the best available evidence to drive improvement. After that I carried on as QMC Director of Nursing, but the last two years I was there, I took on the Chief Executive’s role, before I took early retirement. It was at that point that the Mid Staffs role came along. RB: What was the scope of your role when you were asked to go into Stafford Hospital? SM: The reason I was invited to go into Mid Staffs, was because I was well known to have a strong sense of public service values, I was well known to have experience and a passion around quality of care and patient safety, because of my involvement in the Commission for Health Improvement. What was needed at Stafford at that time was someone that could focus on those things and restore public confidence. In the aftermath of what had happened there, you had a local community that felt totally let down by the NHS, that had lost confidence not just in the hospital but in the NHS as well. But equally, the people that we needed to motivate to turn the situation round, the frontline staff, were war-weary. They were feeling angry and hurt. They’d been told they were rubbish for years. How do you start making changes when the people who can do something about the situation are feeling demotivated and culturally knocked-about? You have to get them on-side before you can start to tackle the wider problem. RB: Was that your main priority when you went in? SM: I was appointed at the same time as a new chief executive, Anthony Sumara. We were totally different, personality-wise. He had a reputation as being quite ruthless. His track record was turning NHS organisations round, and nationally he was well known as a troubleshooter, someone who could knock heads together. I wasn’t like that. My reputation was more about being someone who cared deeply about people, who would work closely with people, support and help them. RB: A bit of a good-cop, bad-cop setup then? SM: Exactly. But the common thread between the two of us — and Anthony is a fantastic bloke, we’re still good friends — was the values we held. I have said to Anthony that he should be an honorary registered general nurse — because his values were as strong as anybody’s. We agreed straight away that what we had to do at Stafford was first of all to stabilise the place, get it to calm down a bit, and then to start working on two imperatives: we had to see signs of public confidence coming back up, but to do that, we had to start valuing the staff, while also rooting out any bad eggs (and being seen to deal with them). There was an attitude around Mid Staffs that everything about the NHS was bad, that everybody in there was bad, and of course, it wasn’t like that at all. RB: There is the Francis Report for people who want to know the detail, but can you summarise a little bit what had gone wrong at Mid Staffs, what the root causes were? SM: The first thing was the professionalism of the frontline clinical team. As health professionals, we are trained to a national standard of knowledge, a national set of skills competencies, but there is also the NHS Constitution: a values set around the behaviours that we should all use and live by. If anything comes along that stops healthcare professionals from doing that, you start getting problems, and that’s exactly what happened there. The staff weren’t developed, they weren’t valued, they weren’t supported, and so over time they started taking shortcuts, exposing patients to risks they shouldn’t have. The second issue was that these things should have been spotted before they became a problem, but they weren’t. The assurance systems were rubbish. They weren’t simple, they weren’t straightforward, nobody was operating them. So the problems were allowed to go on for years. And the third thing — and this is probably the most significant, because it impacts on the other two – was the organisational culture. There was an acceptance of mediocre being ok, a culture where the aspiration was simply to be mediocre. But mediocre soon becomes poor, and then poor practice becomes accepted — ‘this is the way we do things here’. New staff take that on. It was toxic. We reached these conclusions within three weeks. It was quickly very clear where we needed to start targeting our efforts. SM: And you’ve got to do it in a way that builds trust. I remember asking the frontline staff, ‘what’s the one thing I could do that would help you?’ They would say, ‘come and see what it’s like. Don’t invite us to come to meetings with you, come and look for yourself’. So we decided that each board member would do a morning a week in the clinical areas. There was a time when we were getting one report coming out after another in the press, horror stories about patients’ awful experiences. If we knew a bad story was coming out, that day we would base ourselves in the ward or department affected, to support the staff, to show that we were in it together, that we were going to work with them. Those three years in Stafford taught me the importance of role modelling. When staff see the board living and breathing the values that we expect them to live by, things start changing. At the end of three years we hadn’t solved all the problems, but those behaviours were beginning to make a difference. The health quality regulator had removed all its conditions about the quality of care, and the place could move on to the next stage of its development. It was an amazing three years. SM: It was, but not for the reason that people think — people think I must mean because of the political pressures, the politicians who expected fifteen years of problems to be turned around in three months, the regulator, etc. But what was tough was: me being NHS through-and-through, finding myself in the middle of a community that had been badly let down by the local NHS. Every time I went into the hospital, I was meeting families telling me horror stories: patients who’d been left screaming in pain, lying in soiled sheets, unwashed, unfed, dehydrated and so on. Both Anthony and I found that difficult to handle. That’s where I needed my resilience again. I’d promised to do three years. But there were things that got to me, things it was really hard to believe had happened — but they had. RB: It was your home community, your region, as well, wasn’t it? SM: Yes — my family all lived around there. Indeed, one of the things that helped me decide to go there in the first place was that my sister-in-law had died in there, aged only 60, and I saw the impact that had on my brother and their children. I felt doing the job was a way to get a bit under the skin of what had happened to her. RB: In view of all that, what advice would you give to healthcare managers at the moment, maybe people in more junior management positions? How do you maintain ethical values in an organisational culture that doesn’t necessarily always make that the top priority? SM: I always talk to them about not losing sight of the human impact of what they do. You have to bear in mind that patients and families will remember the job you do for a very long time, whether that’s because you’ve done a really good job, or a bad one. And remember that the point at which patient care is determined as safe, as good quality or good experience, is the point of interaction between the individual patient and the clinical team – if we get that wrong, that becomes poor quality, unsafe, a bad experience. So never undervalue the importance of that interaction. It sounds like management-speak, but I also talk about remembering the importance of the team, remembering that no one profession can do the job alone, we rely on each other. Good healthcare is all about team working, supporting each other, challenging each other, trusting each other. RB: Given that we started by talking about male nursing, would you have any particular advice to trainee or early career male nurses today? SM: I’d say: go for it. If this is where you think you can make a real impact: go for it. Look after yourself, develop the resilience that you might find you need if you come across people with outdated ideas. Never accept the status quo, always question. RB: Is being male still an issue in nursing, or have things moved beyond that? SM: Things have turned on their head a little bit in a way. It’s no longer an issue of, ‘is this a suitable profession for men?’ The gender balance for both doctors and nurses is evening out. The issue with male nurses now is, that they’re often seen as only interested in going into managerial roles. So my advice to any man in nursing would be: make sure you get a good solid foundation in clinical nursing practice, really prove yourself as a good practising nurse, get that credibility, and then look at using your values to have a wider influence. Don’t see management as an easy option, because it is far from it. RB: My final questions are about your interest in Florence Nightingale. Did you study her early on? Has she been an influence in your career? SM: I did. A few years ago, I was asked to give the address at the annual Florence Nightingale service in Derby, and to do that I resurrected a lot of my reading about Nightingale. There’s so much in there that’s of importance — if we want to develop a modern contemporary model for nurse education, there are Nightingale principles there that can strengthen that. SM: On my very first day at the DRI, somebody knocked at my door and told me that someone had knocked the hand off Florence Nightingale’s statue, again — vandals were apparently always doing it. One of my first jobs was to write to the Derby Telegraph denouncing these vandals! So the statue became part of my whole life in the East Midlands from day one – I became personally attached to the bloody thing! There was a movement to relocate the statue to the Royal Derby hospital a few years ago, which I think ran into problems at Heritage England. But the current location is not suitable now that the DRI is no longer there — it’s going to become a residential area. So hopefully Heritage England and the City Council will agree to move it to the London Road site. The value of the Nightingale connection can be tremendous for Derby. I’m really keen to see nurse education in Derbyshire have more of the Nightingale branding to it, to raise the local profile of the training, and incorporate Nightingale values into it. RB: Do you find any inspiration in Nightingale from a nurse management perspective? After all, like her at Scutari, you’ve been asked by the British government to try and turn around a failing hospital … People don’t always appreciate that hands-on nursing was a relatively small part of Nightingale’s career, that much more of her time was spent on management and administrative matters, overseeing training schemes and so on. She perhaps isn’t just a model for front line nurses?